An oval-shaped diamond weighing 63.93 carats, in red leather fitted presentation case, with GIA report #12567139 dated May 6th, 2003 stating that the diamond is D colour, Flawless clarity, excellent polish and excellent symmetry. "Report #0307029 dated July 10th, 2003 from the Gübelin Gemlab also stating that the diamond is D colour, Flawless clarity, accompanied by appendix stating that the diamond possesses a purity of colour and high degree of transparency, which are particular to the world's finest natural Type IIa diamonds. 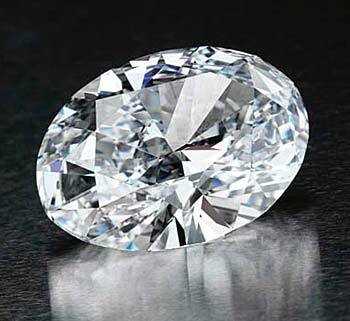 Diamonds of this type and size, displaying such a superior quality, are particularly rare and have been unearthed from only a limited number of sources around the world, such as South Africa, Brazil and India." 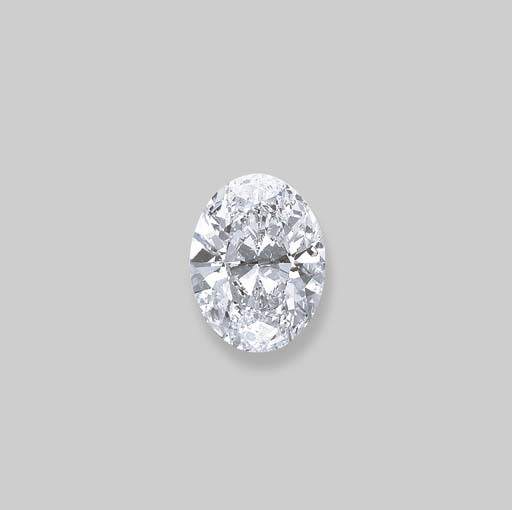 At the auction, the stone sold for 5,444,000 Swiss francs, equal to $4,246,320. Since the estimate for the stone was not listed, I don't know if this price was more than had been expected.